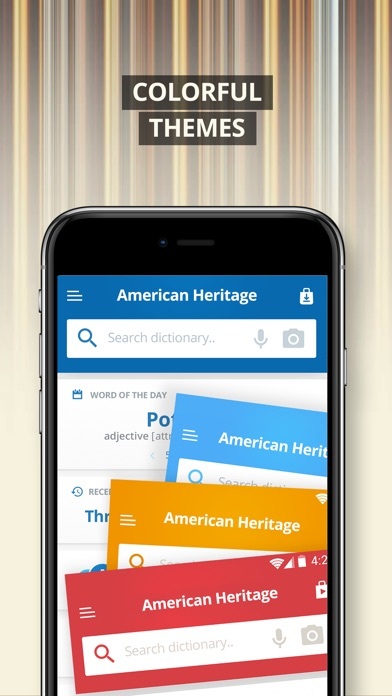 -	THE AMERICAN HERITAGE® DICTIONARY OF THE ENGLISH LANGUAGE contains 10,000 new words and phrases, over 4,000 dazzling new full-color images, and authoritative, up-to-date guidance on usage. Thousands of definitions have been revised in rapidly changing fields such as astronomy and biology. 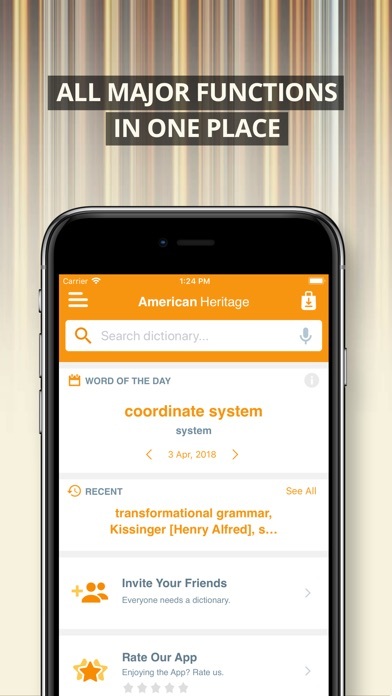 Geographical entries and maps have been completely updated, and the dictionary’s signature feature notes on word history, synonymy, and language variation have all been enhanced and improved. -	THE AMERICAN HERITAGE® ROGET'S THESAURUS offers an intelligent and sensible guide to synonym selection. 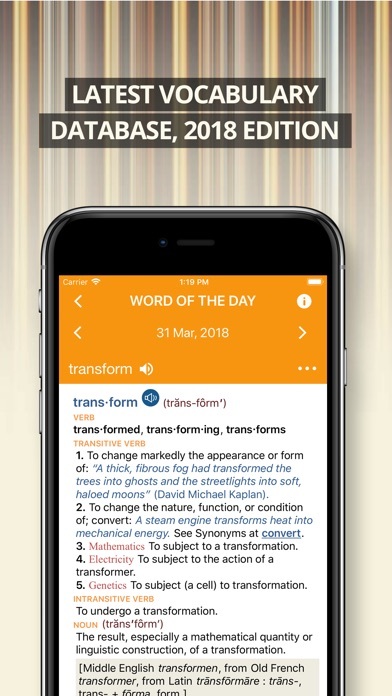 It provides a wide range of synonyms, ranging from mainstream vocabulary to the colorful alternatives that make English such a rich and versatile language. Thousands of slang, informal, and regional words broaden the coverage even further. Each synonym list focuses on a clear definition that quickly guides the user to the relevant meaning. • Dive right into the intricacies of the language - With new and convenient Home page, sleeker and more intuitive visual layout, as well as innovations that enhance the speed of searches, you can get to the desired entry faster than ever. • Search autocomplete - helps you find words quickly by displaying predictions as you type. • Keyword lookup - allows you to search within compound words and phrases. • Voice search - helps you find an entry when you don’t know how a word is spelled. Looking for a specific word but don't know how it's spelled? We've got you covered with our automatic ‘Fuzzy filter’ to correct word spelling, as well as ‘Wild card’ filter to replace a letter or entire parts of a word with '*' or '? '.